If your clients have a commercial website, there’s a good chance they could be subject to federal lawsuits under Title III of the Americans with Disabilities Act (ADA). Recent estimates suggest that ADA lawsuits in 2018 exceeded those in 2017 by 30% . There were more Department of Justice (DOJ) and ADA-related website accessibility lawsuits filed in the first six months of 2018 than in all of 2017. Understanding the relevant ADA accessibility issues is important for understanding the appropriate insurance products and services that can protect against a lawsuit. ProWriters stays up-to-date with the latest regulatory liability developments and offers expert advice and broad insurance coverage. The rash of recent lawsuits centers on ADA Title III, which requires businesses to offer and incorporate accessibility features. Title III prohibits disability-based discrimination for “places of public accommodations”: private businesses that are open to the public, such as restaurants, hotels, movie theaters, museums, and doctor’s offices. Many businesses are sued for infractions related to physical premises that many of us are familiar with, such as wheelchair accessibility. However, recent lawsuits have focused on website accessibility, highlighting an exposure many businesses are not prepared for. Record numbers of ADA website accessibility lawsuits and settlements indicate the legal exposures many businesses face. One prominent example is the landmark case against Winn-Dixie stores that was decided in 2017. The Southern District of Florida sided with the plaintiff, a visually impaired man with cerebral palsy, who sued Winn-Dixie because its website was not compatible with his adaptive screen reader. The judge ruled that Winn-Dixie, despite having invested $7 million in early 2017 to improve its website, did not make a concerted effort to make the website more accessible to the disabled. Other cases further illustrate the liability risks. In January 2019, the Ninth Circuit Court overturned the dismissal of a case against the pizza chain Dominos from the lower district court. The district court had dismissed a lawsuit against Dominos, saying ADA website accessibility did not apply to the company’s website and mobile app. The Ninth Circuit Court disagreed, asserting that ADA website accessibility did indeed apply to Dominos. 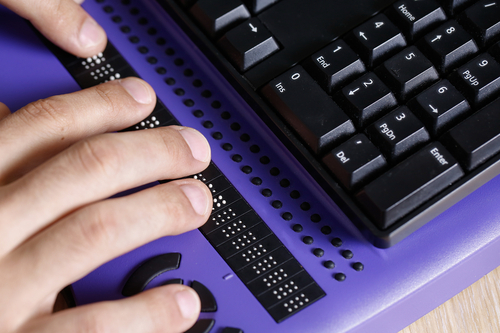 This case only adds to the growing body of legal decisions that favor plaintiffs regarding website accessibility litigation. What Kind of Insurance Covers ADA Accessibility Issues? Because recent lawsuits focus on websites and cyber-driven accessibility issues, some assume that cyber liability coverage would apply here. In reality, cyber liability policies do not cover this particular exposure. Cyber policies are designed to cover the first and third party exposures associated with a cyber incident, such as a cyber breach. These policies do not include language regarding ADA accessibility. ADA accessibility falls under employment practices liability insurance (EPLI). Although EPLI can be sold as a separate stand-alone product, it is often sold as part of a management liability package. ProWriters offers EPLI as part of our comprehensive Directors and Officers (D&O) insurance packages. These policies protect company officers in the event of a D&O-related claim. ADA-related settlements can range from tens of thousands to millions of dollars, a cost many businesses and business owners can’t afford. Insurance is an important and increasingly necessary preventative litigation response. The experts at ProWriters are here to help. Because this topic is still developing, we offer our expertise to answer any questions you may have about this evolving exposure. Originally formed to serve the E&O interests of financial service firms, ProWriters has grown to cover a wide range of exposures. The brokers and agents who work with us value our dedication to customer support and the knowledge and expertise we offer to help them better serve their clients. For assistance regarding ADA EPLI coverage or any other risk or exposure, schedule a call with a ProWriters specialist today!